Ann Landers was a pen name created by Chicago Sun-Times advice columnist Ruth Crowley in 1943 and taken over by Esther Pauline “Eppie” Lederer in 1955. For 56 years, the Ask Ann Landers syndicated advice column was a regular feature in many newspapers across North America. 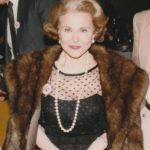 Owing to this popularity, “Ann Landers”, though fictional, became something of a national institution and cultural icon. "At every party there are two kinds of people – those who want to go home and those who don’t. The trouble is, they are usually married to each other." "Opportunities are usually disguised as hard work, so most people don’t recognize them." "People who drink to drown their sorrow should be told that sorrow knows how to swim." "Love is friendship that has caught fire. It is quiet understanding, mutual confidence, sharing and forgiving. It is loyalty through good and bad times. It settles for less than perfection and makes allowances for human weaknesses." "The Lord gave us two ends – one to sit on and the other to think with. Success depends on which one we use the most." "Maturity: Be able to stick with a job until it is finished. Be able to bear an injustice without having to get even. Be able to carry money without spending it. Do your duty without being supervised." "Don’t accept your dog’s admiration as conclusive evidence that you are wonderful." "All married couples should learn the art of battle as they should learn the art of making love. Good battle is objective and honest – never vicious or cruel. Good battle is healthy and constructive, and brings to a marriage the principles of equal partnership."